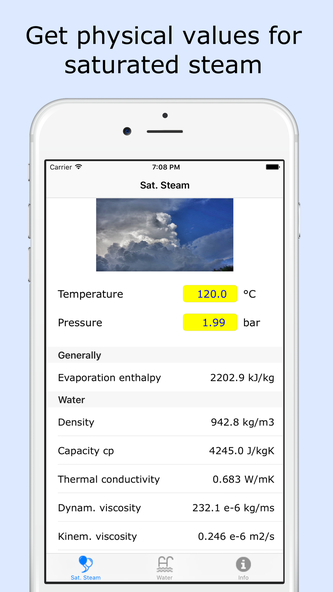 This app was made to calculate the main physical values for saturated steam and water in a very simple way. Click on temperature and you get the pressure and the other way round. You can also calculate the values for water at 1 bar. All values are in a technical acceptable range, but all values are without any guarantee. If you like this app and is helpful for you, we are looking forward to a positive review in the App Store. This helps to develop the app also in the future.